Living at Saint Luke's Bishop Spencer Place, you'll have access to all levels of senior health care right on campus. 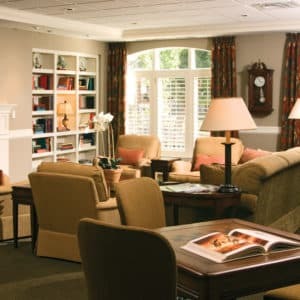 From private-duty care in your independent living residence to a full range of accommodations and services for assisted living and skilled nursing, Bishop Spencer Place of Kansas City has it all on site. If you ever need care, you’ll know where you’ll receive it, who will provide it, and what it will cost. 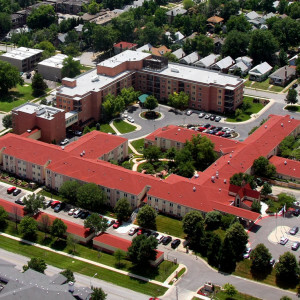 Enjoy full-service independent living in your private apartment home on our beautiful, conveniently-located, pet-friendly campus near the Country Club Plaza of Kansas City. Here, you’ll receive the assistance you need when you need it, while still maintaining your sense of independence and comforts of home. For short-term rehabilitation or long-term comprehensive medical care, York Place Skilled Nursing and Rehab at Bishop Spencer Place is the place to be. Private caregiving services allow you to stay in your independent living apartment home while receiving the best of care, providing peace of mind for you and your family.